The Encore! family relies on YOU. Encore! 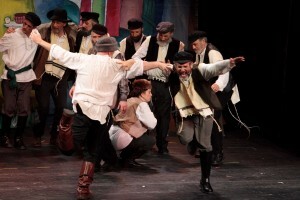 Educational Theatre Company is recognized as an indispensable part of the Jerusalem culture scene. From New York to London to Jerusalem, theater companies cannot survive financially on ticket sales alone. Likewise, Encore! needs to raise funds to cover the shortfall. Donations from friends and supporters make it possible for Encore! to continue to provide quality educational theater for the community. Thank you for your generous donation to Encore!